We use advanced GPR scanners to our operations. For processing and interpretation data we use many different softwares depend on purposes. As an official partner of IDS Georadar and Leica Geosystems we provide rental services global. 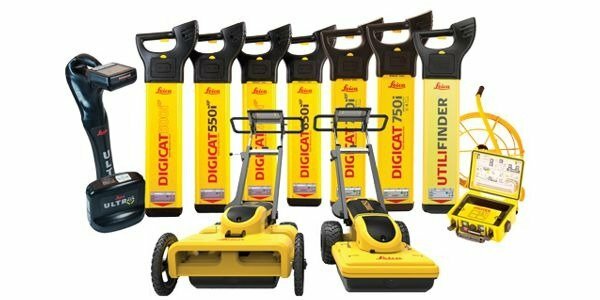 GPR Leica DS2000 is perfect tool to survey buried objects on the construction site, during utility detection and excavation. In the radar is used dual solution it means in one box is included two GPR antennas. During scanning two antennas collection data at the same time. One antenna shallow has 700 MHz frequency and second let say deep 250 MHz. Thanks that you are able to cover shallow structures with higher resolution and deeper structures with lower resolution. Georadar is designed in SMART technology. Even non experience personnel can use radar successfully. Applied control software gives possibilities to good interpretation in the field, mark buried objects on-line and generate full reports from survey. Reports can be generated in PDF, DXF and SHP format. Also you are able to import raster map with exist underground utility, DXF, SHP and connect on-line to Google Maps. There is possibility to connect RTK GPS/GNSS. We are proud that we use multichannel Stream C to our services. In our offer also include Stream C rental services in Europe. Stream C gives ability to collect data by 34 antennas in one path. It gives high density GPR data mainly dedicated to detection service and archaeology. C-thrue is a dual antenna compact scanner dedicated to concrete scanning, rebars and void detection. 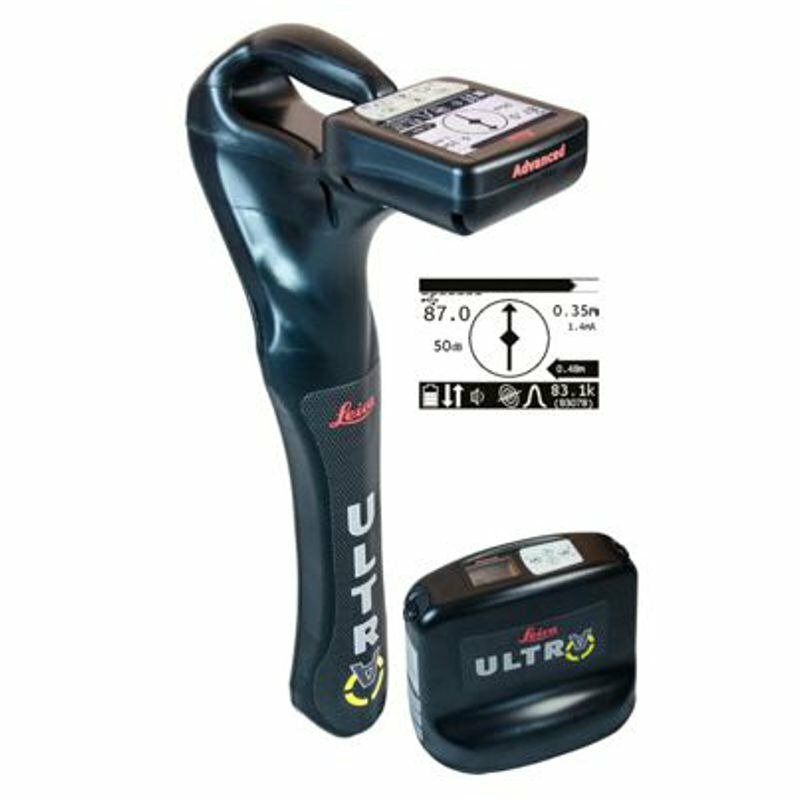 System Leica Ultra Advanced is advanced tool to buried utility detection. Perfect solution to detect cables, wires, cable damages and void pipes using additional probes. Locator work in two modes passive and active (using signal generator or probes). There is possibilities to remote induction signal in electricity network or you can directly connect to metal pipes, wires and other conductive material. 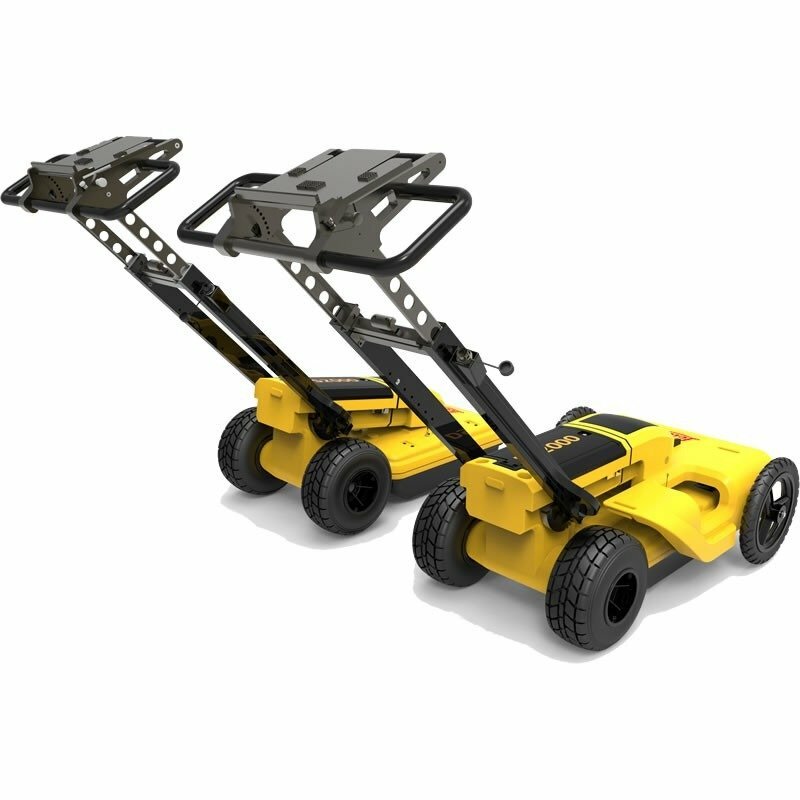 We offer GPR rental services including GPS. GPS works in SMART mode. It means that GPS is familiar in use and has easy interface. Thanks RTK correction form reference network you can reach high positioning accuracy up to 6 mm in the case of good satellite signals. GRED is software released by IDS Georadar. This is software dedicated to IDS and Leica equipment. Possibility to export digitized underground objects to GIS and CAD format. Solutions gives very easy interface for not experienced user. 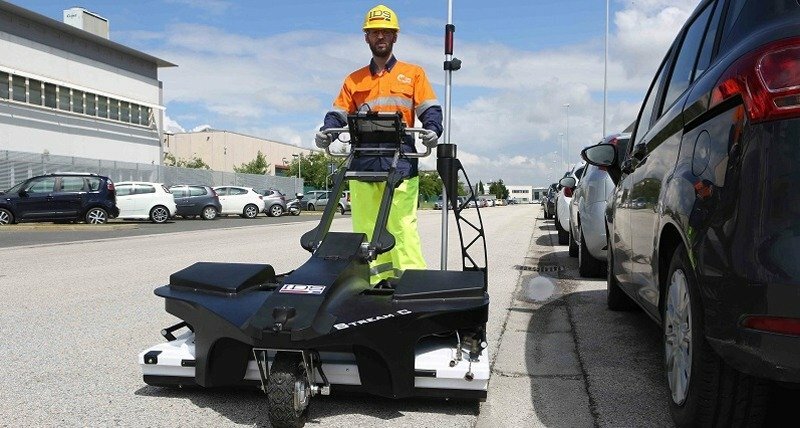 One of the powerfull GPR software for civil engineering, geodesy and archaeological mapping. GPRSlice gives possibility to imaging GPR data in 3D space. Advanced processing and interpretation software for the most demanding users. 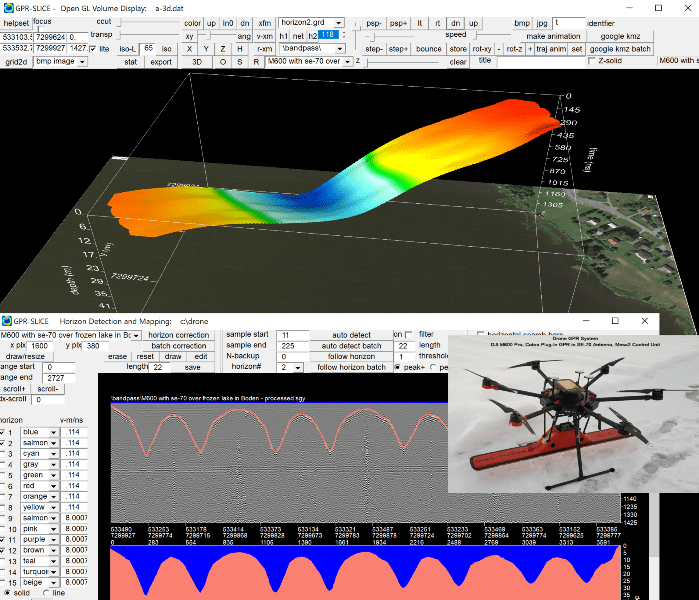 Application gives possibilities to processing GPR and seismic data. One of the module is modelling pack where we can carry out numerical modelling of GPR data for designed structures. Very useful option as a interpretation and imaging support.